"Need I Say Amore? " 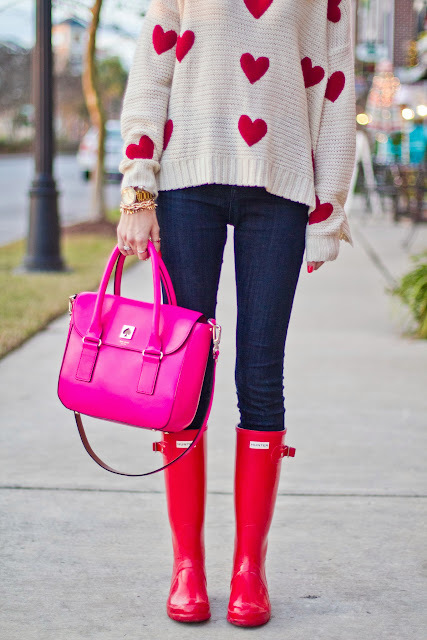 Who says we can't wear bright colors during the winter? This valentines day will definitely be a chilly one. 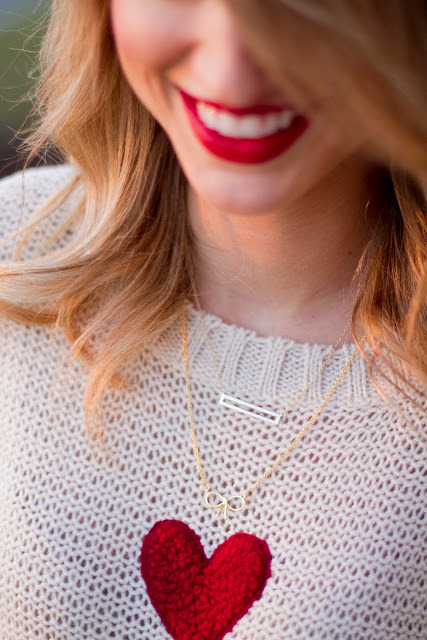 How perfect is this fun, festive sweater? There is just something about a comfy sweater and boots that makes me really happy, and these Hunters have been on repeat lately. If you're looking to go casual, you can easily add a little "sass" to your look with brighter accessories! 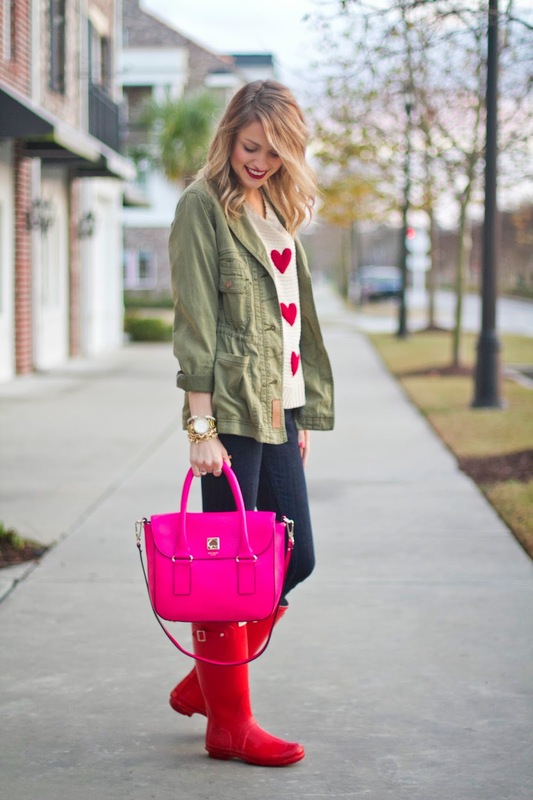 I have always adored the color pink, but never gathered up the courage to make a statement purchase like this pretty little Kate Spade satchel. The days of only wearing bright colors in the spring and summer are gone.